Use your laser or inkjet printer to print personalized business cards. We love to carry cards with our home address and phone when we go to local meetings, travel, cruise, etc. The perforations are ultra fine, so you can separate the cards very cleanly. This card stock can be printed on both sides. This is our heaviest weight of Business Card Stock, and the best quality White stock we sell. 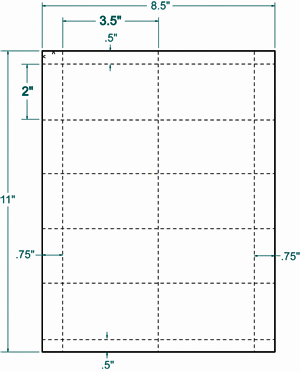 Each 8-1/2" x 11" sheet is Micro-Perforated to Produce 10 Business Cards - 2,500 cards per package. 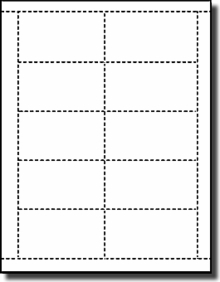 Each Business Card is 3-1/2" x 2", and fits the standard Business Card templates in MS/Word, Publisher, etc.